It appears that as with previous Samsung flagship smartphones, the brand new Galaxy S8 and S8+ will, depending on region, come with different camera sensors. Since the launch users have spotted versions with Sony IMX333 and S5K2L2 ISOCELL image sensors. The latter is made by System LSI, which is a subsidiary of Samsung. The situation is the same for the front camera. One version features a Sony IMX320 imager, the other comes with an ISOCELL S5K3H1 sensor. That said, there is no difference between the two versions in terms of camera specifications. In both main cameras the sensor is a 1/2.55" 12.2MP variant with Dual-Pixel AF. With an F1.7 aperture and optical image stabilization the lens specification is identical as well. Sensor size in the front camera is not known at this point but all models come with an F1.7 aperture and face-detection AF. Considering camera specifications are identical on all models and presumably so will be image processing, we should not expect any noticeable differences between the two versions, but if we get the chance, we'll try and find out if there is any variation in image quality. Yes your correct samsung s8 has lots of variant i found an article about samsung S8 variants. Samsung Galaxy S8 one of the most powerful smartphones on the market? The long awaited Samsung galaxy S8 has finally been released and it seems to be living up to all of the hype. The Samsung Galaxy S8 comes in different configurations based on RAM capacity and the chipset installed, the different system set-ups do seem to make a dramatic difference when it comes to power and performance in the separate devices. 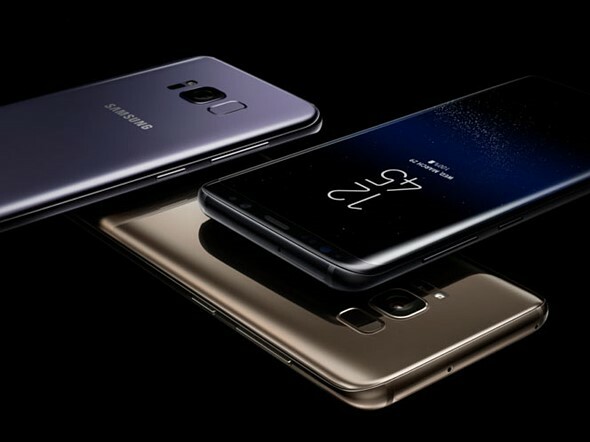 The US version of the Samsung galaxy S8 comes with a Snapdragon 835 chipset equipped with an octa-core CPU while the overseas version comes packed with an Exynos 8895 SoC. The galaxy S8 uses the Adreno 540 GPU for its graphics processing unit which delivers stunning visual performance when playing a wide variety of different games and multimedia. G6 much more appealing camera wise. Wink mode? That is so cool! How about a wink and sticking also your tongue out! What about the security loop hole where you can hold a photo of the phone's owner and it unlocks it? I have mine set to 'wink' it only unlocks when the identified face moves! Winking? Clearly this calls for the old Mark V 'Flipbook'..
"Considering camera specifications are identical on all models and presumably so will be image processing, we should not expect any noticeable differences between the two versions"
ridiculous indeed ... by the way, care to provide me an example where two devices by the same manufacturer, having similar specked sensors would provide significant IQ differences? And even more so in phone cameras, as the difference between processing are the most important ones. The differences between cameras (talking about the same gen sensors +/- 1) are almost insignificant. The same generation sensors (+/- 1) have lots of difference in IQ. You can see that in the small action cameras. There's a couple chinese manufacturers churning out tons of them with more or less the same software and hardware, under different brands, but very slight variations, such as which sensor they use and max framerate (maybe due to readout speed of the sensor?). That said, samsung actually does make very good sensors, so I suppose there might not be much difference between the versions in this particular case. well... see, exactly what i said, you contradicted yourself: having "more or less" same software means differences in processing - and in this area this is the most significant difference. Also having "different readout speed" ... or other hardware limits: slower CPU, slower memory, etc - means differences in SPECS, even if those specs are available to you or not. The thing with Samsung is that they have same memory/bandwidth/cpu power (though slightly different), same camera sensor and lens specs... exactly the same algorithms to process the images. Compare for example cameras of samsung S6 (16MPx, F1.9, 28mm eq, released in early 2015) with camera of A5 2016 (13MPx, F1.8, 28mmeq, released late 2015) - a phone that i have, and this is why i give this example. Well, the software is probably pretty similar as well, as they didn't bother to make any improvements for a minor model. Guess what... it's really hard to make any differences, and i shot some side by side images to compare. Huh? I didn't contradict myself. It is the same software, but of course there are minute differences wrt the sensor, and thus there has to be slight differences in the software as well. And I'm sure that the samsung sensor also has a different readout speed than the sony one, and works slightly differently, so there are some differences in the software that handles that. Anyway, I'm telling you that I agree with you that there probably is not very much difference in IQ in this particular case. "Samsung Galaxy S8 comes with two different camera sensors"
Reading that headline, I first thought, 1 S8 unit contains 2 different sensors. "Samsung Galaxy S8 delivered with varying camera sensors" ? "Samsung Galaxy S8 delivered with varying camera sensors"
This could be interpreted as delivered with a single sensor that varies its specifications with time. Maybe "Samsung Galaxy S8's single rear camera sensor comes from one of two sources." So when DxO tests - can they test samples with both sensors and once and for all to be sure we are not getting lemons and oranges. If you're serious, I carry a LG pocket printer around with me - weighs nothing, about the size of a portable hard drive, and prints out 2x3s. Uses zink paper technology. Literally changed the way I view, use, and share photos. If you want best-possible print quality given portability restraints, Kodak and Skymall both do a mini-printer that prints out 2.1x3.4s using dye-sublimation tech (eg same as Canon Selphy). Oh yeah and if you have an iPhone, Prynt does a (zink powered) attachment that is the nearest thing you're going to get to a built-in printer. Gorpalm, how's the reliability of the printer? zzzxtreme not a problem just charge and go - I've printed out over 400 shots w only a problem once when the paper didn't feed into the roller - took the paper out, reinserted and it was fine. LG has the "truest" colours out of those printers using zink, but they are for fun not profession so have moderate expectations! Also check battery life - my model needs recharging every 10 shots, others can be 20 or so. I hope the provide MFA so I can get the most out of the sensors. It's sad to read about Samsung only in relation to their phones and not about the nice cameras they used to make. why should we here more about Samsungs now dead camera business...? They left with good reasons - No footprint in the market. Samsung is shippig their phones with a cheaper image-sensor to certain countries such as the UK. The reason is kept well hidden, but obvious... with all the bad wheather and rain, what would you photograph in the UK anyways? Happy, smiling faces. What would you use it for in Germany? Well, happy, smiling faces are extremely rare in Germany. I have heard of someone who was smiling for a while, but I would not trust that story. Well you can always focus on gloomy and "dark mood" like images. With a crappier sensor you will then do a grainy B&W image for the grimmer affect. Franz, I'm glad to hear that if the Wurst happens, you can always shoot your lunch! P.S. In the UK, due to having a collective sense of humour, we might call that a joke. That means all professional photographers are stupid for buying 5000 dollars Nikon D5? Guys cellphones would never takes DSLR spot it's just insane start a conversation about it. I don't understand how such tiny camera phones produce pics so good compared to our orders of magnitude larger DSLR's etc. DSLR's should blow camera phones out of the water. Are we so bad as photographers that we can't exploit the advantages of DLSR's? In good light, the difference isn't THAT big because my S7 can shoot at ISO 40, for example, while an older Fuji would be shooting at ISO 200 minimum. In all probability, yes we are that bad as photographers. Well, not me, mind you! :-) But all you other guys . . . yeah pretty much. In good light, yes camera phones are great. But my aged D300 blows them all out of the water for low light, action, quick recompose, fast AF etc. What mobile phones have I used? Samsung S7, Nexus 5, Nexus 6p, iPhone 6 and the new Pixel. All take nice pics...but put them in low light or action like basketball, hockey, etc and there is not contest; DSLR by a number of miles. At 40 mph on a nice clean highway, my $20k car rides as good as any $100k truck. It doesn't mean we don't need trucks anymore. You are taking the easiest task in photography of taking a snapshot and declaring that DSLR can't do anything better than that. They can do another twenty things that smartphones can't do. Doesn't mean you need those 20 things, just like not everyone needs a $100k truck. We need DSLRs because they do different tasks. Why compare a cellphone to a DSLR? Smartphone cameras have come quite a long and have utterly crushed the point and shoot industry and is chipping away at the advanced high end point and shoot cameras. My Samsung Galaxy Note 3 is still my most used camera as its always with me. That being. I'm made all to aware of the limitations of smartphone cameras just as in the same performance of point and shoots. I can't swap out lenses for that addictive bokeh nor for the ultra wide of an FF12mm lens. Second it won't trigger my strobes and relies entirely on the ambient light available which greatly limits my creativity. Next is the actual sensore. It has a laughably narrow dynamic range without inducing HDR mode. Recovering shadows and highlights in post is a total pain and often totally unusable. Then there is low light. Not a single smartphone could get close to the ability of a professional camera. Long exposures is almost pointless without the ability to add ND filters unless shooting at night. Overall smartphone cameras could never replace a professional camera but for what they are they are darn good. Shooting with a smartphone actually helps me become a better photographer due to its limitations. I'm actually a much better photographer using my pro gear bc of smartphones. The difference between the best camera phone (maybe with a very few exceptions) and even the weakest DSLR with a cheap zoom lens is MASSIVE and whoever says there's little to no difference must be blind. I'm not sorry. If you can't see the difference between the over-processed, over-sharpened, over-noise-reduced oil paintings that the phones produce, and what comes out of APS-C/m43/FF sensors, then yea you have to be blind. Even the 1" sensor cameras are towering above the toy 'sensors' in these phones. Heck even a lot of older compact cameras with regular small sensors make better photos (the good cameras, not the crappy ones). Not saying a phone can't be enough for some people, but to say there is no difference is just stupid. And I usually don't even care for IQ all that much. Thanks guys! So I guess what you are saying is that DSLR's etc. have been well and truly relegated to professional work. That leaves the wannabee-pro like me with a dilemma. Is the expense worth it? It's a rhetorical question. BobT: It seems that times change. It used to be the case that amateur photographers loved to have different lens options, be it zooms, or different primes, wide angles, portrait lenses, macros etc. for different purposes, for learning techniques and just generally to enjoy the art of photography. Now, apparently all that is deemed 'professional', while an 'amateur' doesn't need anything else beyond one semi-wide angle lens and a selfie camera. Yes, the expense is worth it. After all you can get a second-hand DSLR for as low as $100 including a kit zoom or two, and a couple more nice old lenses for $100 or so each. And you can use it for another decade (the lenses possibly for several decades), while any half-decent smartphone probably costs more than that and will be obsolete within a year. What you should be to asking is whether it's worth it carrying the equipment, but again, the answer is yes if you care about photography at least a little bit. Because cell phone cameras are "good enough" for the masses and they are "always readily available" to snap a pic. I finally left my dslr home on two vacations now. However, I still take my travel zoom, which is getting used less and less. @dgmessenger and that's why i don't bother looking at the people's travel photos anymore because there are only 3 sorts: #1. a landscape (or cityscape, or a building or whatever fits into the standard ~28mm lens angle), #2. a tiny person in front of scene #1, #3 a horribly mangled selfie which is an inevitable result of taking a snap of someone's face from 1 meter away. Say what you want but before the smartphone craze, before people would take a photo or 2 of something else while travelling, at least occasionally. And photos would generally be less crooked because with almost any camera you have at least some sort of grip to put your fingers on and don't take the picture by tapping on the display. Lol... Funny how you started a bit of a storm with such a "silly" question. The best thing to do I suppose is to actually take a cheap DSLR and a cell phone with a good camera and go test them out under different circumstances. Even during the day, indoors (out of the sunlight or close to a window) you will already see the difference. And that is just with a "crappy" kit lens. Use a cheap prime like the plastic fantastic from canon and you wouldn't have even bothered asking this question. Physics being a physical limitation and all you will quickly learn that the little lens on a cell phone will simply not stand a chance in out performing one of the $500+ lenses on offer. And that is just for static (none fast moving objects). If you hope to capture anything from a toddler to faster moving object with a cell phone and not have it look like a simple snap shot (when not blurry)... Good luck :-P.
You may well find no discernible difference, nevertheless the young trendoids and early adropters will go nuts over the difference. After an S3 and S6 Edge i'm ready to try something different. It'd be a Note 7 if they'd just fixed the issue instead of cancelling the product. I think i'll go mid-range and try the OnePlus 3T. Rubbish, the iPhone was easily bested by the S7/S7 Edge for a start. It has never been the best, just the most hyped. Didn't DPR give Pixel and iPhone the highest grades? IPhones haven't lead in cameras since the 4s. The only thing they can do better in some cases is video. But the new flagship androids mostly best it in still image and sharpness. DPR graded things besides picture IQ. Is picture IQ they lag behind. Once it gets dim out the 1/3.0 sensor just cannot compete with a 1/2.3 or 1/2.5 sensors. Here we go, Apple haters are out and about. SAD! So, I am supposed to believe you, a random guy from the internet, more than DPR? Riiiiight!! Besides, I also mentioned Google even before Apple. And last I checked Google is the creator of Android! @PhotoUniverse, DPR never reviewed the S7 for some reason (just checked under reviews and couldn't find it). Every other site/youtube channel that did review it that I've read either ranks it as one of the best or the best camera phone; i.e. it's second to none. My personal experience with my S7 and the iPhone 7 (which I have access to) backs that up as I find that the former produces better still images, especially in low light, and marginally better video. And the S7's focus speed/accuracy is in another league. Never tried the Pixel so I can't comment on it. Don't forget, that DPR reviews and rates things based on the time of review. They don't go back and update reviews when new stuff gets releases. E.G. : So if they gave the 4s a 90% then the S7 an 80% that does not mean that the 4s is better. And don't forget that they review the whole package and not just IQ. Bad advice. They want to maximise profits. More iterations = $$$$. Look at the Fujifilm x100 series for example. According to Cnet, ZDNet and Digital Trends....both sensors on the S8 will create blurry images in low light. Well the S7 had the best cell phone camera ever released until the Google pixel. I'm sure this will be no different. There is an NDA right now on S8 reviews. So they are likely just guessing... I can guarantee it'll likely be the best camera for the first half of the year until the new pixel is released. Yet in GSMArena's blind shootout last year LG won the majority of the votes follow by Apple and Samsung in a virtual tie. Pixel wasn't in the shootout though. Really? :)) S7 has better camera than panasonic CM1, including 1 inch sensor? Lumia 1020, well, was much slower and had much worse AF, but had 2x higher real resolution, was better in low-light and had xenon flash. And in phone arenas shootout the S7 edge(same camera and hardware) won.... Your point is? Was the Phone Arena's shootout also "blind"? Comparison tests where the appraisers know which device shot which picture are not worth squat. Same with wine tasting! lol...why fight over cell phone images? Latest gen Iphone or samsung or blah blah blah. Generally all in the same boat as far as I concerned. I would get that most of us on DPR don't use phones solely on their cameras. Like I won't switch from apple to samsung for the camera... it is mostly a decision based on OS. After all I have a good camera and lens set, so anything critical will be taken with them. The rest... just snap shoots and for recording memories, so good enough is good enough. First batch and Chinese version always comes with Japanese parts and later batches is luck of the draw. You can tell the Japanese parts are higher quality because Note 7 only use SONY sensor and when the battery started exploding, Samsung suspects bad battery only affected Korean made cells and not TDK cells in Chinese models. Yeah... This isn't true. I got my S7 on release and many people in the US got the an S7 with a Samsung sensor on release. You can check XDA for screen shots if you'd like. First batch as in production batch, not availability date. The first batch may be made in January/February and sit in warehouse along with later batches to wait for the big demand in a March/April release. The rear camera will be a full-frame DSLR-killer and the front camera will be an APS-C DSLR-killer. Only if you place a full frame camera in front of a medium format camera on a table. With exploding batteries, they are killers indeed. Has Samsung ever said WHY they are doing this? I guess I don't really care so long as *I* don't get shorted in terms of the quality of experience, but I seems like an odd thing to do. Supply, Sony cannot produce enough sensors. So Samsung uses Sonys design and produces the sensors them selves. This has been happening since the S5 I believe. It's nothing new. Very true! It could be! It's anyone's guess! I believe that ISOCELL is a proprietary Samsung design, so not a Sony design. It may be that Samsung's production capacity doesn't suffice, so they either outsource some of the production to Sony, or they use an existing Sony sensor with equivalent capabilities to their own ISOCELL sensor. I think it is the other way around. SONY is like 70% of the global sensor production and for SONY to run out of capacity to fab sensor and need Samsung to chip in doesn't sound likely. Presumably Samsung sensor is cheaper but Samsung cannot make enough for initial release so they buy SONY sensor until demand levels out to Samsung production level. Since Samsung had tout ISOCELL in marketing of the phone, so the Sony sensor have to have similar tech, otherwise customers can sue it for false advertising. But why do they still use Sony sensors if they have their own sensors? Or is there an availability problem, they expect a demand higher than what they can cover by any of these sensors? One day soon, DPR will be know at the go to site for smart phone reviews with the inevitable Gold Star rating for iphones and silver stars for Android phones. There will be a sister site for those few interested in camera only devices made for old people, funded by a grant from AARP. The day that occurs, will be the day I finally sign up for AARP. Cheap insurance and Flip phones haven't been enough an incentive so far . . . .
You do know DPReview have a smartphone section and they don't assign medal to phones right? @Pelasdf, yes I do and you do understand my point that in this future, it is the smartphone that is the main focus of DPR and that the camera sections will be the poor step child. You do understand my point right? dennis: Didn't you get the memo? They're called the LG ratings now! "You do understand my point right?" I don't, but it's ok. Which site will review the newest Jitterbug? Lol some of what you said is incorrect. The sensor designs are essentially the same. The white balance may be a little different, high iso performance may be a little different(Samsung sensor in the S6 was a little better vs Sony in high iso by like 1/16 of a stop). Literally not much of a difference. Also all sensors supported everything they were supposed to. If one couldn't do video stabilization, the other was allowed to either. I've had 3 S7's my first had a Sony sensor, the other 2 had Samsung sensors. The features did not change. They all had the same features. The difference in image quality is something I have yet to notice. Actually on a sunny day. My S7 is actually better in raw vs my Olympus xz1 in raw. In every aspect. Noise, sharpness and DR.
Where is the reported 1000fps super slow-mo video recording mode? Is IMX333 the same sensor in Sony Xperia XZ Premium? the 1000 fps appears to have been just a rumor. My guess is that at least the Sony sensor is capable of doing it, but the fast frame rates are only used for the multi-frame processing and not for slow-mo video. Is there any information about the distribution of the different sensors? By region? SKU? It's random, it's been this way since the S5. It doesnt matter which region. You don't know until you download the app needed to find out which one you have. After that, you now know... I guess... It doesn't really matter. I've had 3 S7's one with a Sony and 2 with the Samsung sensors. I haven't noticed any difference. It's well publicised which areas are getting which model. The USA is getting the Snapdragon and Sony sensor, and EMEA (Europe, Middle East, Africa, and Australia are getting the Exynos + ISOCELL for example. Wasn't that the case for the previous version already? You might want to mention that. I haven't heard of any complaints about the previous versions cameras btw. There where minor differences. But basically the same. The sensors are equally tiny so mostly down to processing.